I haven't done any baking in so long and had so many visions in my head about what I wanted to bake, and I went through the cupboards looking for cake mix and ingredients etc. No such pre-prepared cake mix could be found so I decided to jump right in with a recipe and make my own cake mix. 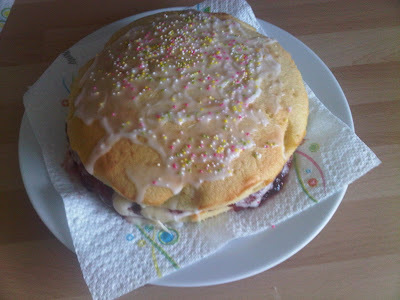 For this cake I followed a simple cupcake recipe, using (for each cake half), 100g of self raising flour, 100g of caster sugar, 2 eggs, 100g of butter and 1/2tsp of vanilla extract. I whisked everything together in a mixing bowl and set them in the oven at 180 degrees. Now I'm not the world's best cake maker, I used the exact same ingredients for each half but they both came out completely differently...hmmm. 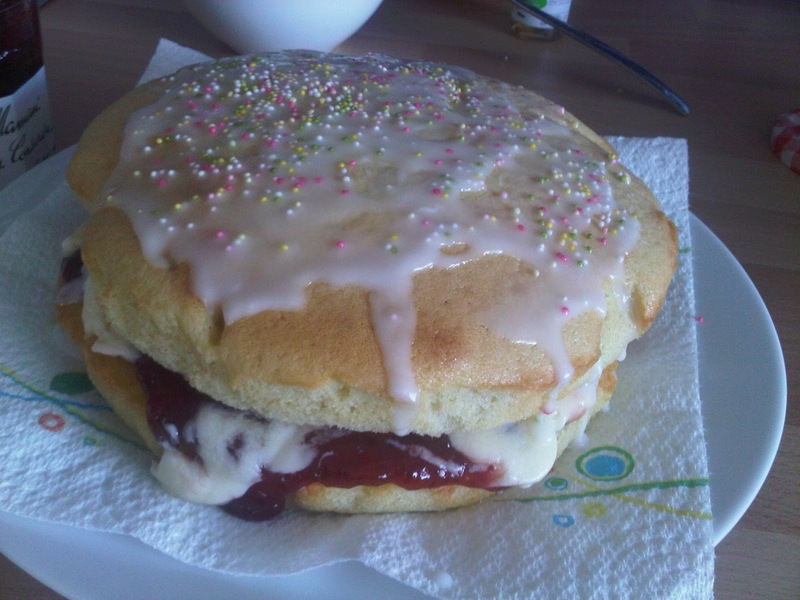 But I spread lots of Bonne Maman strawberry jam on the bottom half and then made up some butter and icing sugar to create buttercream (with a hint of vanilla extract) and spread that on top of the jam, looks so yummy, non!? I wanted to write Happy Mother's Day on the top but decided just to spread glace icing on the top and sprinkled on some hundreds and thousands. Have I Finally Found my HG of Shampoos?! 2011-2015: Louise Katherine Williams. Simple theme. Theme images by andynwt. Powered by Blogger.